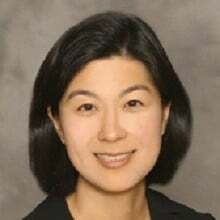 Dr. Kiyon Chung received her medical degree from the Mayo Foundation Medical School in 1998. She later completed an Internal medicine Residency at Oregon Health Sciences University and a Cardiovascular Disease Fellowship at the University of Washington Medical center in 2006. Dr. Chung specializes in Cardiology and treats patients with various cardiovascular diseases such as congenital heart defects, heart failure, coronary artery disease, and more. Dr. Kiyon Chung is certified by the American Board of Internal Medicine in Cardiovascular Disease and Internal Medicine. She speaks both English and Korean.